Is there anything more delectable after a traditional Italian meal than dessert ala Italia? Italian dessert recipes are as varied as they are delicious. Depending upon region, Italian desserts may include Tiramisu, that all-time favorite internationally, cenci, a delicate Piedmontese almond cookie, zabaglione, a delicate custardy pudding or sfogliatelle, a flaky crusted filled delicacy, panacotta, a rich sweet cheese-flavored trifle and the ever-popular cannoli. Many Italian desserts accent figs, brandied cherries, such as in certain cassata recipes and peaches in a delicate liqueur. Tiramisu, which is interpreted to mean, "Pick Me Up", is traditionally a mid-morning Italian dessert. Italians generally partake of espresso and a light dessert cookie such as biscotti, a twice-baked cookie made from a sticky dough, rolled into log-shapes for the first baking. Then, sliced and baked through a second time till golden. Amaretti are almond flavored cookies similar to sugar cookies in size and shape. 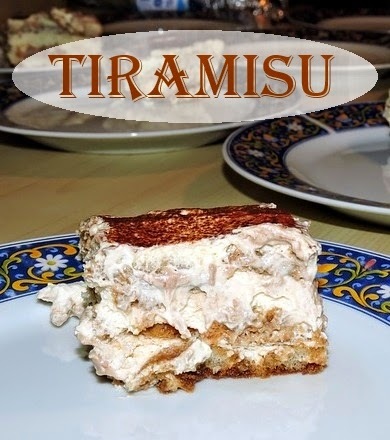 Here is a very simple Italian dessert recipe for Tiramisu. For Tiramisu, you will need a 9-inch spring form pan. In a small bowl, blend melted butter and crumbled biscotti or amaretti. Line springform pan with crumbs making certain bottom and sides are fully covered. Mix together espresso and anisette. Brush surface of crumbs lightly with mixture. Do not soak. In a large bowl, add mascarpone cheese, egg, sugar and lemon rind. 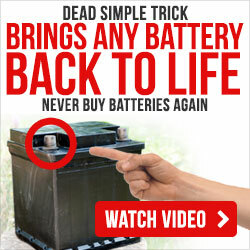 Beat at low speed until sugar is fully dissolved and consistency is like pudding. Pour pudding mixture into springform pan and refrigerate until set firmly. Sprinkle top with pignoli nuts. Dust with cocoa before serving. Another Italian dessert recipe that's a real crowd-pleaser is Lemon Fig Tarte. You will need a fluted edge tart pan. 2 cups sifted flour, 1 teaspoon salt, 1/2 cup shortening, 1 egg, 1 tablespoon red wine vinegar. In a large bowl, combine flour, salt and shortening. Blend until crumbly. In a small bowl, whisk egg and vinegar until well blended. Add to flour mixture. Blend until flour mixture forms a ball. On a floured surface, roll dough into a 9-1/4 inch diameter. Place in pan. Cut excess dough at rim of pan. Place pie weights in center of dough to prevent bubbling. Bake at 375 degrees until a light golden color. Remove from oven and allow to cool. 2 1/2 cups Smyrna figs or substitute chopped finely. 2/3 cups superfine sugar. 1 tablespoon finely grated lemon rind. 1/4 cup fresh lemon juice. 1 egg well beaten. 1/2 cup Amaretto liqueur. 1/2 cup pignoli nuts. 2 tablespoons melted butter. 1/4 teaspoon cornstarch. Blend all ingredients by hand. Pour into cooled tart shell. Bake until figs are bubbly. Remove from oven and sprinkle with pignoli nuts.